Our hard work and dedication to your ideas and goals have paid off! 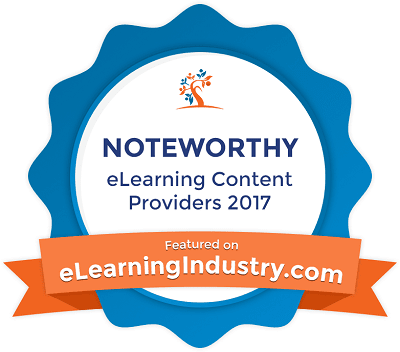 eWyse have been voted #4 on the list of best noteworthy e-learning companies in the world ("...The list is comprised of companies which share a genuine passion for extraordinary eLearning content development..."). List is made by greatest information leader in the industry. Entire article available here.